In celebration of Native American/First Nations fiction and fiction authors, we offer these six fantastic novels. Whether you are looking for modern or classic, mysticism or military, love story or survival, there is at least one story here that will engage you, challenge you, or quite possibly, stir your soul. 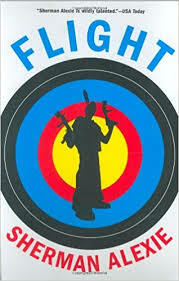 Flight by Sherman Alexie On the verge of committing an act of violence, a troubled, orphaned Indian teenager finds himself hurtled through time an into the bodies of a civil rights era FBI agent, an Indian child during the battle at Little Big Horn, a nineteenth- century Indian tracker, and a modern-day airline pilot, before returning to himself, forever altered by his experiences. 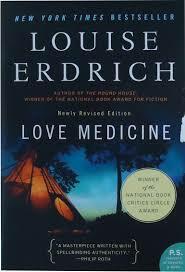 Love Medicine by Louise Erdich The members of the Chippewa Kaspaw and Lamartine families describe their simple existence as they both deny and discover their native heritages. 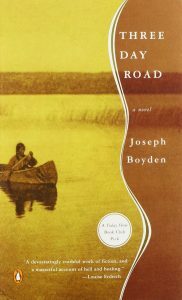 Three Day Road by Joseph Boyden The nephew of a Canadian Oji-Cree who is the last of a line of healers and diviners, Cree reserve student Xavier enlists in the military during World War I, a conflict throughout which he and his friend, Elijah, are marginalized for their appearances, their culturally enhanced marksmanship, and their disparate views of the war. 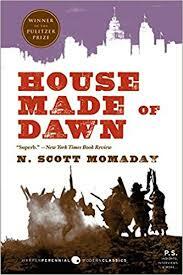 House Made of Dawn by N. Scott Momaday A young American Indian returning from World War II searches for his place on his old reservation and in urban society. 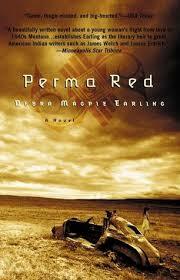 Perma Red by Debra Magpie Earling Explores life on the Flathead Indian Reservation during the 1940s through the eyes of Louise White Elk as she struggles with problematic relationships with three men. 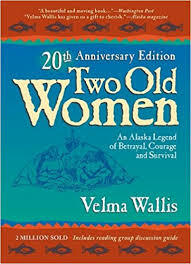 Two Old Women by Velma Wallis The retelling of a classic Alaskan legend about two elderly women abandoned by their tribe during a severe winter famine depicts their friendship, fierce determination, desperate struggle for survival, and ultimate need to forgive.